As the Philippine President Rodrigo Duterte open the business and insists to have a third telco in the country, last January 24, 2018, the Department of Information and Communications Technology - DICT , together with the National Telecommunications Commission conducted the Invitation for the Submission of Views and Comments for the Entry of the New Major Telco Player. 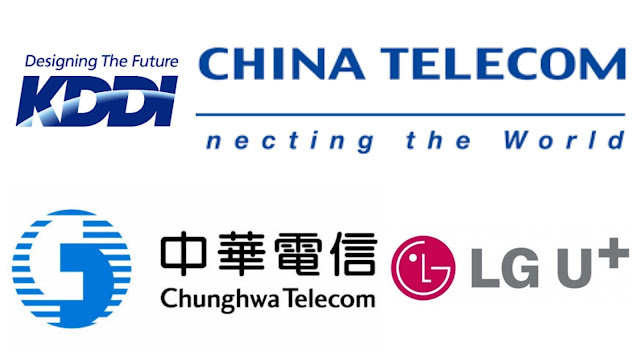 Four Biggest Asian Company were said to be interested to play as the 3rd Telephone Company in the Philippines and these are LG UPlus from South Korea, KDDI from Japan, China Telecom and Chunghwa Telecom from Taiwan. PRESIDENT Rodrigo Duterte earlier has rejected the request of the Department of Information and Communication Technology (DICT) to extend until May this year the deadline to select the third telecommunications player in the country, Malacañang said Tuesday, February 6. Presidential Spokesperson Harry Roque Jr. said Duterte turned down the proposal of DICT officer-in-charge Undersecretary Eliseo Rio Jr. during the Cabinet meeting on Monday, February 5. Roque said the President maintained his position that the Philippine government should be able to facilitate the application process of the third telecommunications (telco) company by March this year. Which Telco do you think is Filipino Netizens, choice as the third largest Telco in the country. Watch the Asian Telco Company Profile for you to decide which one is better though I believe any of these Asian Telco will give the best internet service in Philippines. Let us know your vote in the comment section below.